Southern States > Social Life And Customs > 1775-1865., Tennessee > Social Life And Customs., Southwest, Old > Social Life And, Publisher: G. G. Evans. 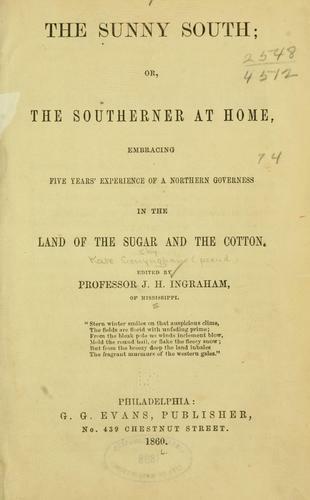 We found some servers for you, where you can download the e-book "The sunny South" by J. H. Ingraham EPUB for free. The FB Reader team wishes you a fascinating reading!